2011 was a horrible year for Johnny Guarachi. 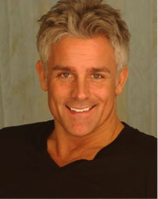 In February of 2011, he fell off of the truck that he used to drive and was hit by another car. 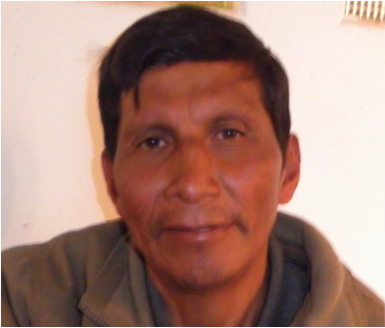 He was taken to a Hospital in the city of Potosi but since he did not have any money to pay them, the hospital ONLY cleaned the blood and bandaged his leg, causing him to develop gangrene. 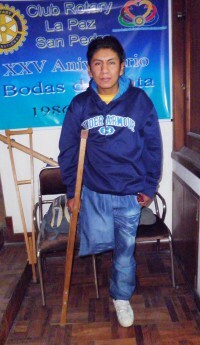 Shortly after, Johnny decided to go to La Paz for treatment where they decided to amputate his leg below the knee; however, the infection kept spreading and they had to amputate above the knee. 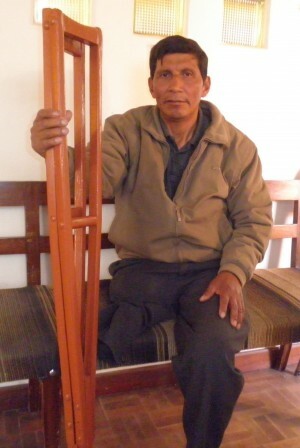 A volunteer that visited him at the hospital convinced him to visit Rotary La Paz-Centro de Miembros Artificiales. Through their grandfather program, our non-profit organization “Sending out an SOS” has donated a new prosthetic leg above the knee. 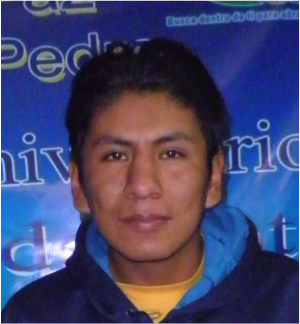 Johnny wants to find a job and start studying again so he can have a chance for a better life. Gregori has been working as a bricklayer and painter all his life, still climbing and actively working on jobs in his mid-50s. One day, when he was painting an area of a building; the railing he was standing on broke away, causing him to fall from the fourth floor ending up unconscious on the ground. 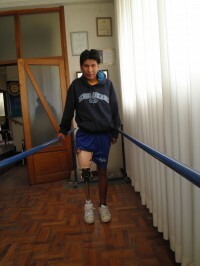 When Gregori woke up in the hospital from the disaster, the doctors were forced to amputate his leg to save his life. The impact of this loss was far more than Gregori’s leg. He was unable to find a job or support his family. Since then, his two children have resorted to going out to the streets to beg for spare change to bring food to their home. 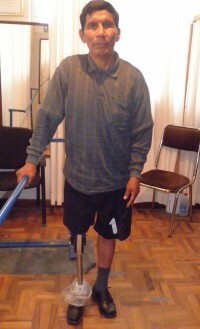 When Gregori was able to finally receive a new prosthesis after his tragedy, he could not stop crying from so much happiness and hope for the future. 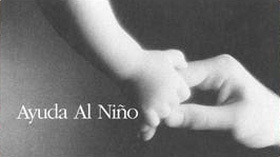 In 2004, doctors found a tumor in the sole of Cristina’s foot. 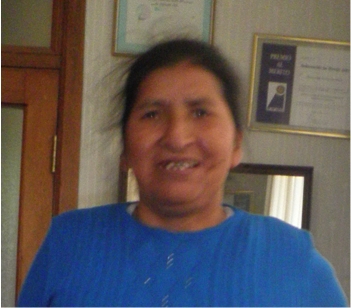 Because she did not have the money to treat the tumor, she used natural remedies in order to treat the problem herself. 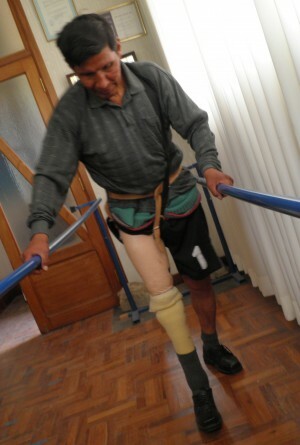 But after a few years, Cristina’s entire leg began to swell. The tumor had become so large and caused such agonizing pain; that she was forced to leave her job as a schoolteacher because she was not able to function. 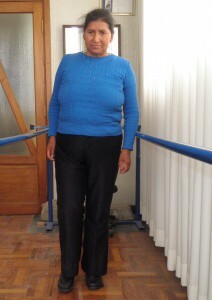 Cristina sought treatment for her leg at La Paz which required over four months of care; however, the infection from the tumor was so advanced that ultimately the doctors had no choice but to amputate her leg. 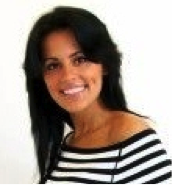 On top of losing her infected leg; Cristina lost her job. She is a single 48 year old mother that needs to work to support her family. Through our sponsorship, she got a prosthetic leg that has allowed her to return to school to work once again as a teacher without pain.